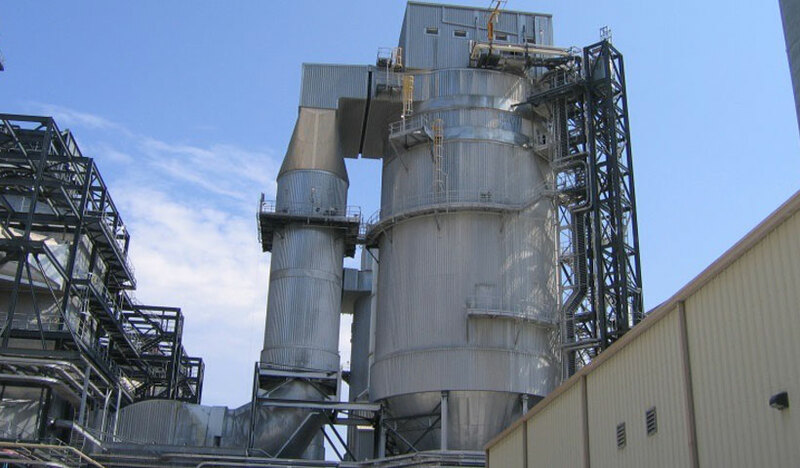 Our Spray Dryer Absorber (SDA) system is especially well suited to control SO2 and acid gas emissions. Our large utility and industrial fleet is installed at a wide range of facilities ranging from power plants, waste-to-energy plants, and hazardous waste plants. 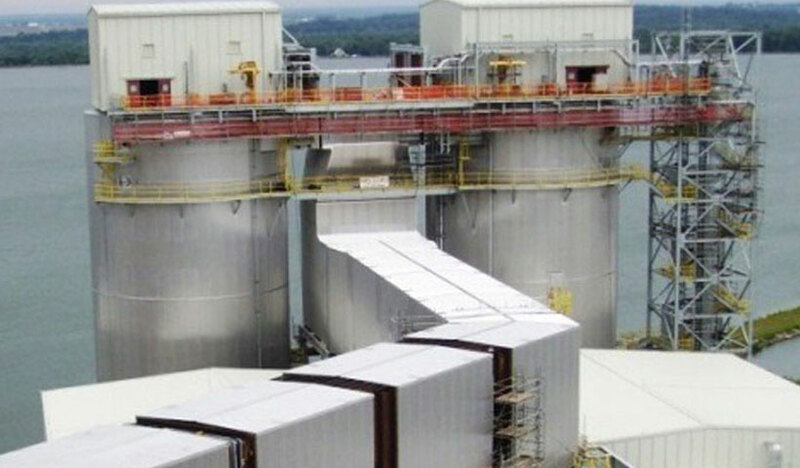 SDA designs can range from truck shippable industrial designs to larger absorbers suitable to utility exhaust gas flows. 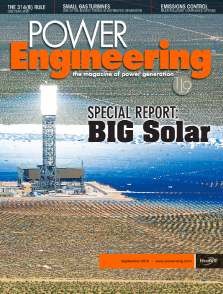 See our 2015 publication in Power Engineering. The new generation of SDA nozzles now available has significantly reduced cleaning frequency. We have installed over 60 SDA units representing over 4,500 MW of plant capacity. 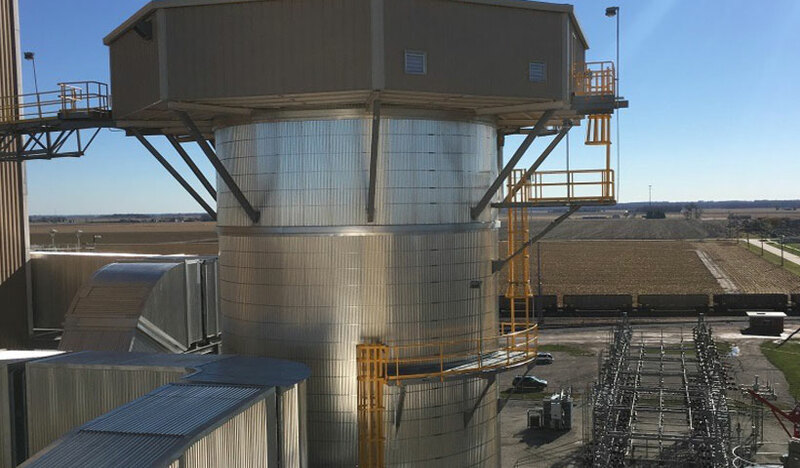 Spray Dryer Absorber (SDA) technology is designed to provide acid gas and solid particulate control utilizing alkaline slurry, typically lime. The slurry is atomized into fine droplets which are dispersed into the flue gas within the SDA. 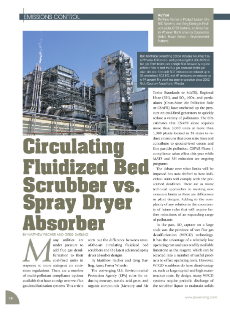 The fine spray provides increased contact area in order for mass transfer to occur. Evaporation of the slurry water in the droplets occurs simultaneously with mass transfer which cools the flue gas. 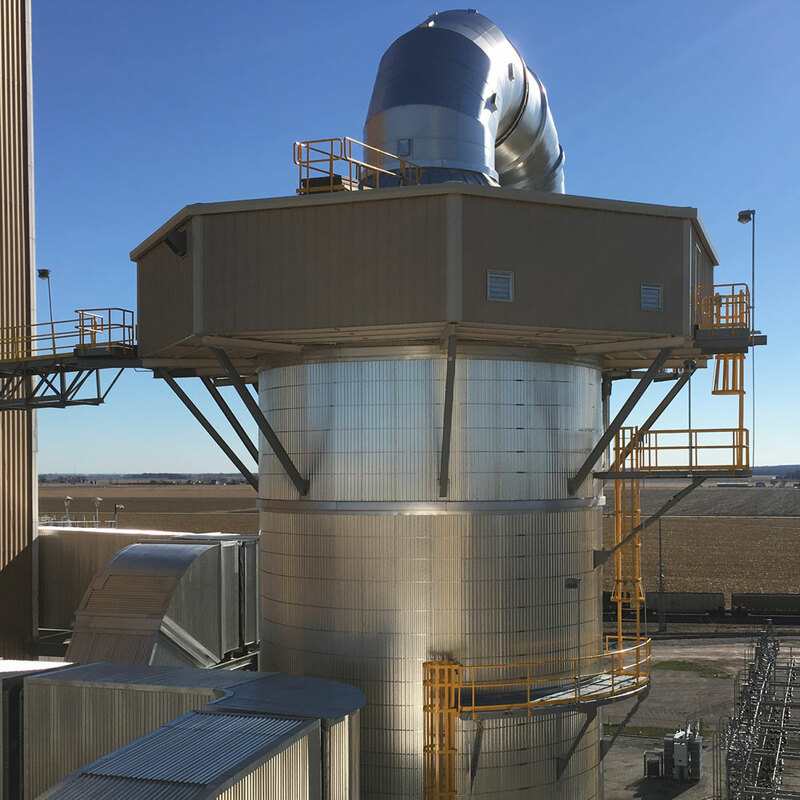 The cooled flue gas carries the dried reaction product downstream to a particulate collection device, typically a fabric filter (FF). The key to efficient performance is the means used to atomize the lime slurry into droplets within the gas stream. 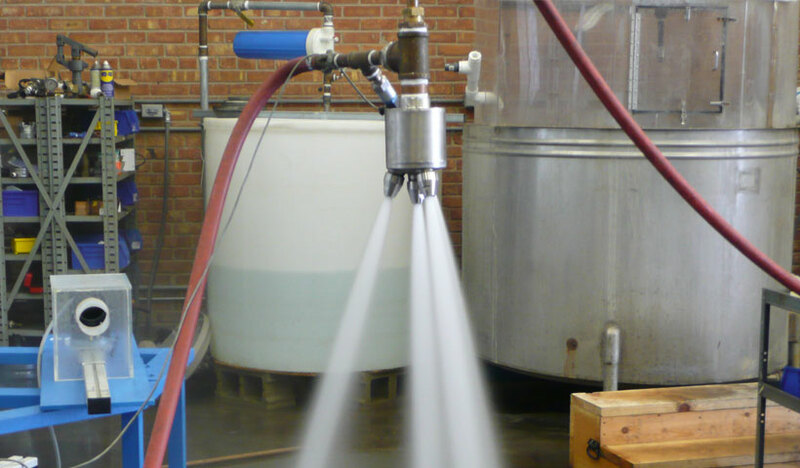 The SDA utilizes a two-fluid nozzle to atomize the lime slurry. Industry experience with earlier SDAs was they were expensive to operate and maintain regardless of the atomization mechanism used. We have redesigned our two-fluid nozzle to improve the distribution and mixing of atomizing air with lime slurry, which improves mixing efficiency and decreases operating and maintenance costs. The optimized nozzle design delivers even atomizing air distribution to produce a consistent droplet size while providing longer nozzle life. In 14 field applications, the optimized nozzle has demonstrated low cleaning frequency (1 to 3 weeks continuous operation), reduced cost of operation (20 to 25% less compressed air consumption), and longer life with its new tungsten carbide inserts. 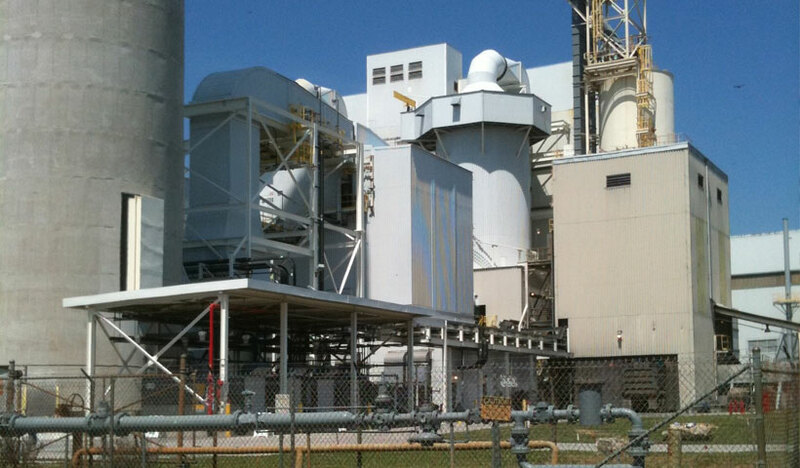 The SDA design provides operating flexibility for the entire plant. 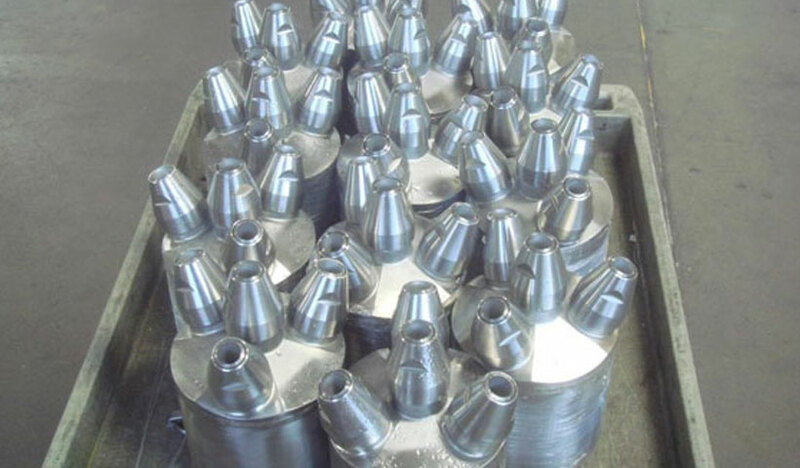 For example, any two fluid nozzle can be removed for maintenance without decreasing boiler load. Emissions performance is maintained even when multiple two-fluid nozzles are taken out of service. The SDA is capable of high unit turndown, down to 25% of rated flue gas flow without recirculation of the flue gases while maintaining emission requirements. The design of the unit also provides for fast load response enabling unit cycling or load following. 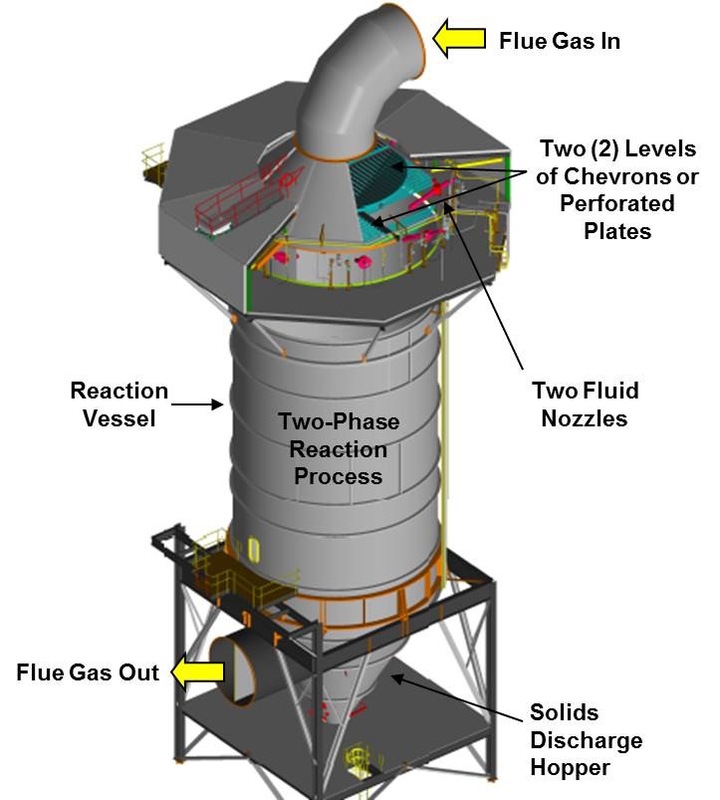 Gas Flow: 6 x 1,232,500 (6 x 2,094,000 m3/h)"
Gas Flow: 2 x 240,000 ACFM (2 x 407,800 m3/h)"